Three-Stone Baguette Diamond Engagement Ring | Shane Co.
Two luminous baguette diamonds, at approximately .14 carat total weight, adorn this stunning engagement ring in quality 14 karat white gold. 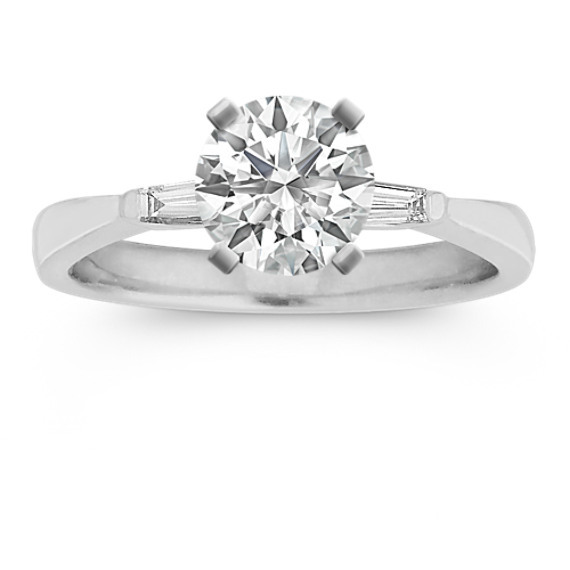 Choose the sparkling center diamond of your choice to complete this amazing look. Part of our Hollywood Glam Collection.